When to Fly to Dusseldorf? Dusseldorf, boasting its great pride for being the capital of the German state of North Rhine-Westphalia, is a popular tourist destination among travelers looking for a perfect taste of German appeal. You can't afford to miss this town, a blend of old world charm and contemporary cool attracting history lovers and culture vultures from all over. Take a flight to Dusseldorf and lose yourself among the city's proud locals probably not looking for a reason convincing their minds why Dusseldorf is a place to stay for them anymore. Dusseldorf's already merged with their souls a long time ago. A cheap travel is what's in your mind to Germany's seventh most populated city, so you would be concerned about the best time to take a Dusseldorf flight, as cliché that may sound. This appealing German city in general doesn't have ideal weather conditions, as summers tend to be very wet and winters, on the contrary, can become awkwardly cold. However, the weather conditions don't discourage travelers from booking cheap flights to Dusseldorf because they've been willing to give Dusseldorf a touch of discovery for long. The weather can take an unexpected turn pouring chilly droplets on you. Carry an umbrella before you decide to venture in open-air. If you aren't able to make it to Dusseldorf in summers then a visit will be feasible during the spring. The weather seems quite mild and appears refreshing. 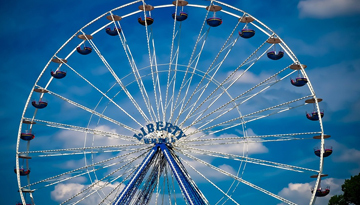 The peak season in Dusseldorf is the one catching the fancy of millions of visitors eager to be a part of Grosste Kirmes am Rhein, the biggest festival in the city including delights such as a circus, fairground rides and food and drink stalls. Even the visitors get stunned seeing the impressive fireworks on the Rhine River. July's second and third week are considered the peak season, so you might find flights to Dusseldorf going beyond your budget. Acting wise ahead of time will be right because you may get a flight not so high on your pocket. February is the right time for any budget traveler to compare a flight to Dusseldorf being a cheaper one. Karneval happens on the Monday before Ash Wednesday during this month. It's a chance to be a part dancing and drinking, having a gala time with enthusiastic people. Don't miss the colourful parades making way through the city. You will find every reason to believe "What would Germany be without its beer?" Visit the Altstadt (Dusseldorf Old Town), renowned for its over 300 discos and bars. Of course a night lover will prefer dancing the night away gulping down their favourite beer rather than checking out the typical old world sightseeing spots. Often referred to as "the longest bar in the world" as a small borough is seemed to have been packed full of bars. Accompanied by the little ones? Ever thought about taking them to the opera? Dusseldorf-based opera company, Deutsche Oper am Rhein, is the famous one attracting many opera lovers performing in the Opernhaus Dusseldorf. The operas for kids are organised from time to time so it's wise to check out their schedule just to ensure if there's something that gets you deep inside. Flying to Dusseldorf from the UK will prepare you for unusual weekend break that can never seem lose its charm no matter what. So much lying in its store is set to reveal the best making Dusseldorf a good choice. You're not far from London's European cousin as the flight taking only 1 hour 20 minutes will deliver you to Dusseldorf sooner than you think. A regular flight to Dusseldorf will begin contributing its bit for your city break becoming a pleasing one the way you look forward to. The Rheinturm – Get ready to see the city in 360 at the Rheinturm or Rhine Tower. The tallest building in Dusseldorf ensures that every visitor whether on first or third visit feels its magnetic appeal deep inside. Perhaps less known as the world's largest digital clock, the building can be seen illuminating when it displays the time down the tower's side at night. Admire some of the stunning views of the city from its observation deck at the top. Kaiserswerth – Fancy stepping back in time? Kaiserswerth, being one of the oldest areas in Dusseldorf, lures history lovers at any time of the year. Located in the northern part of the city, the stunning Baroque houses catch the attention of a tourist at once. Treat yourself with some guilty pleasures at cozy cafes and beer gardens located a few steps from the historic site. St. Andreas Church – A magnificently built beautiful church in Dusseldorf awaits your divine presence. St. Andreas Church, a unique church located in the Altstadt (The Old Town) built way back in 1629 is surely worth any tourist's visit. A fine example of baroque-era architecture, this bright yellow painted church will capture your senses. Benrath Palace – Don't miss one of the most beautiful garden palaces located in the city's southern district. Built as a summer residence in the 18th century and hunting lodge for the Elector Carl Theodor, the Benrath Palace is a must visit for tourists taking a flight to Dusseldorf from far and wide. Aquazoo – Lӧbbecke Museum – An extensive collection of water life and animals from all around the world is what you will find at this museum. Made as a replica of small tropical rainforest, the museum is complete with butterflies and insects. And below the rainforest are crocodiles and alligators. Summers in the city are mild to warm and winters experience cool to moderate temperatures with a little snowfall. July and August, a popular time to visit Dusseldorf, are the months when the warmest temperatures are felt from 13 to 23 degrees Celsius. You'll definitely love your trip to one of the world's most admired cities. Germany's fashion capital will let you do and see what you want to, as there's no shortage to cultural delights and other attractions. 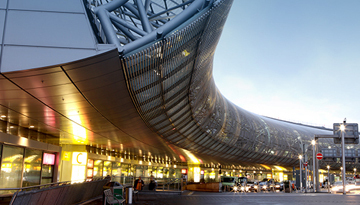 Browse discounted flight tickets to Dusseldorf online and book the one within your budget. Adding to it, eating and drinking, shopping and nightlife are the ones that will let you make the most out of your weekend break. Dusseldorf will not let you down! Flights to Dusseldorf with Lufthansa in Economy Light fares from £169 return including taxes. 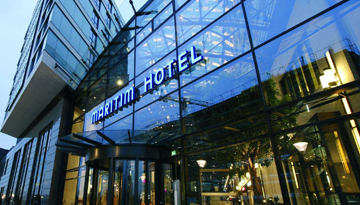 Just stay 3 consecutive nights at Maritim Hotel Duesseldorf and save up to 15% - all days. Fly from London Luton - Dusseldorf & Stay for 7 nights with 4 star accommodation. Room Only.